Mary Sylvester easily plays and sings all these different styles. She produces her own songs, but she also does Cover-Versions of some of her favourite musicians, like B. B. King, Bob Marley, Patty La Belle, Luther Allison, and others. Mary Sylvester – BLUES BAND The Band started in Freiburg /Germany and was successful right from the start. The members were Mary Sylvester, lead vocal, Klemens Gassner, guitar, Thomas Beck, drums, and Stephan Conradi, bass. After a few changes the Band took the name “Mary Sylvester Blues Band”. Mary Sylvester sang with Luther Allison, Champion Jack Dupree, and Louisiana Red. One of her greatest moments was to be with B. B. King in the Konzerthaus in Baden-Baden. Mary Sylvester – REGGAE Band UPRISING Mary Sylvester founded in Germany the Reggae-Band UPRISING. The Band travelled all over Europe and was very successful. Mary Sylvester performs LIVE-concerts with different Reggae-bands. 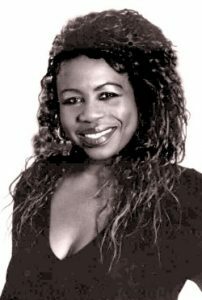 Mary Sylvester has been on stage with artists like “The Wailers”, Marcia Griffith, Alpha Blondie, Max Romeo, and many, many more. Mary Sylvester and BAND Mary Sylvester plays Pop and R&B with her Band, and with a lot of famous musicians from Freiburg, Germany. The band played very often in places like the Konzerthaus and the Jazzhaus in Freiburg, in the Sandkasten in Frankfurt, as well as in many Open Air-concerts all over Europe. Mary Sylvester – JAZZ Quartet Live-Standard Jazz in the style of Billie Holliday or Ella Fitzgerald, presented by Mary Sylvester with her piano-player Frygies Pazeller is a must for every party, from free-style to Evergreens. Mary Sylvester – LIVE Playback Mary Sylvester as Solo-Singer singing LIVE to Playback-CDs from famous artists such as Lionel Ritchie, Tina Turner, Otis Redding, Wilson Pickett, Bob Marley, and many more. Mary Sylvester – GOSPEL JOY Mary Sylvester “Live” – Soulful Gospel Music with the Band GOSPEL JOY. Soulful, appealing music – for your special events – in the church – at your wedding – at funerals – for private festivities – The band GOSPEL JOY has a large repertoire and has played all around in Europe. Mary Sylvester and GOSPEL JOY made a lot of successful concerts. Request your favorite Gospel Song!